An interpretive dancer sways to the music and delights the audience in the dim lighting of the Honen-in temple in Kyoto, Japan. The first strings of a melody slid into the corners of the room as the musician strummed her guitar. The nearby interpretive dancer stood frozen in place, eyes cast upward as she waited for her cue. The tiny grandma behind me bobbed from side-to-side over my shoulder, attempting to see past my tall frame. I slouched deeper into my folding chair. Minutes earlier, a volunteer at the Honen-in temple in Kyoto had stopped my aimless meander. With alacrity, he ushered into a room and said only: “Yes, yes, good.” I took it on faith that I’d like wherever they were leading me. Each new temple I visited presented an exercise in futility as I accepted a colorful pamphlet from the cheerful worker. Few were ever in English. I would walk away studying that page as you would a piece of delicate art, running my fingers across the lines of kanji—Japanese characters. Like those workers, the Japanese seemed nonplussed by my blank stares when they spoke Japanese to me. People directed me around the country with effusive Japanese and enthusiastic gesturing reminiscent of an episode of “Whose Line Is It Anyway?” I rarely knew what was happening. Instead, I learned to revel in the floating sense of discovery as each new experience unfolded. In the temple, the song picked up speed. The singer began a cheerful tune and my brain snapped to attention. I understood the words. How unexpected. She was singing in neither Japanese nor English. In that heartbeat, my awareness jolted me six years back in time to the side of a mountain in Nepal. 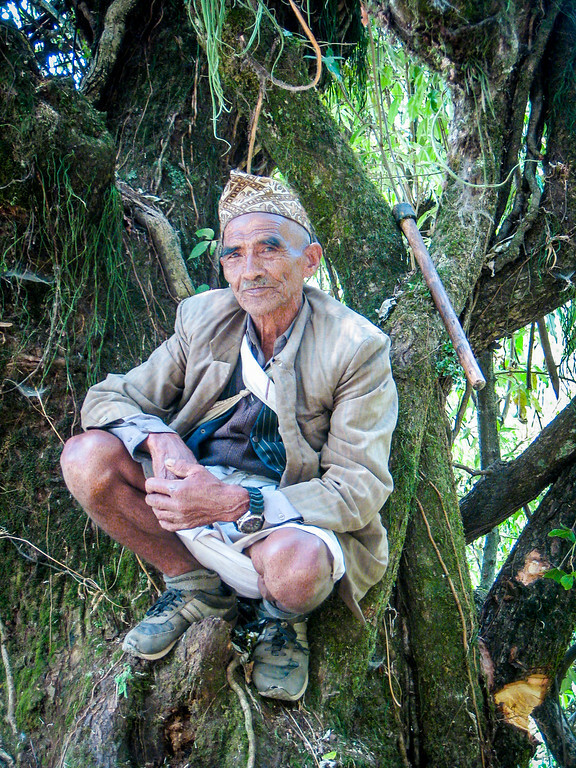 Surya, my infuriatingly optimistic guide in the Himalayas, chanted the chorus of a Nepali folk song. He was prodding me to echo his lyrical voice, as I had every day since we started our trek. As the weakest link in our hiking trio, I was slower than the rest. My Nepali was the best in the group, however, so Surya taught me Nepali songs as we trekked. The maze of lyrics and translations kept my mind from dwelling on the long days of 4,000-step staircases through dense, old-growth forests. Bringing up the rear on day two of our trek, which included five hours of staircases. The easiest to learn was a folk song about a bird, Resham Firiri. It has a lilting chorus and it’s contagiously popular across Nepal. Other trekking guides would hear me coming in the distance as my voice bounced through the tall trees and the rough forest floor. As the source of the off-key—but enthusiastic!—rendition of their country’s beloved folk song, the guides rewarded me with boyish smiles. As our groups slid past each other on the narrow trail, their voices lifted in song for the chorus, making sure it reached me. Then they slipped further away, continuing down the trail away from us, carrying the tune to other ears. In the temple, the Japanese singer and dancer progressed through the song’s verses. Past memories floated around me like the seeds of a plucked dandelion catching the breeze. We erupted into applause at the song’s end and the singer spoke for several minutes. From the vibe in the room, I imagine that she was talking about the earthquake and her song as a tribute to the people of Nepal. Throughout Japan, collection plates at temples and street corners noted that donations for the day would go to relief efforts. So, in my mind at least, she was speaking to that. Then she launched into her next song, the incomprehensible lyrics were in Japanese this time. I was free to sink back into the flow of Japan. As I write this now, the bouncy words of the chorus dance through the room, whispering memories of the past. That song linked two seeming disparate moments. Forged together now is a mountainside in Nepal and a dim room in a Japanese temple three thousand miles away. My Nepali guide’s child-like voice sings in tandem with the crisp female vocalist lit by the soft temple lights. I breathe in musty wet forest as I remember a petite woman in red as she sways and twists and flows around the room. Somehow, impossibly, time and space blended these two moments. They crystallized, forever linked for me. Last year, I shared the bubbling laughter and connectedness I felt on a dala-dala in Tanzania. The women that day banded together to help me find my way, and cheered me on as I skipped into my hostel. Three years ago, I hung from my taxi window in a roundabout in Yangon, Myanmar. A love of travel swamped me—a love for the flood of scents that rush across you, the random, delightful experiences you never plan but find only by chance. The world has rallied together to support Nepal. Our collective focus turned toward this small Himalayan nation, mourning the losses to people and history alike. And in the temple that day, I breathed in the drifting incense and realized yet again the reason I travel: for the connections. I travel for the ability to pull together a deep and nuanced story of the world and our shared role on this planet. Chimamanda Adichie shared a powerful TED Talk about the dangers of the single story. She spoke to the dangers of media and stereotypes that give us only one way to view places and people flickering across our news stream. Last month, Nepal featured briefly on our collective radar. Mention the country and our first thoughts flit toward images of vast devastation. Thoughts swirl around the amount of human life affected by the earthquake in the Kathmandu Valley. Those images motivated the world to donate to extensive recovery and relief efforts needed across Nepal. This moment in Japan reminded me that this is but one story of Nepal. Let’s not forget that Nepal has many stories. Many pieces of the country’s culture, people, and history went unsaid as we watched the earthquake disaster unfold. It’s easy to leave the country on that note. It is, however, short-sighted. As Nepal rebuilds, it’s these other stories of a warm culture and a welcoming tourism industry that we need to continue telling. Through these other stories we form nuanced understandings of this complex nation. Alongside the rebuilding efforts, businesses are looking for ways to move ahead. A Nepali-run adventure travel company reached out to me for advice. In the wake of such a powerful narrative about Nepal’s destruction, they wondered how they can help the world remember that they depend on tourism dollars for their livelihoods. They are not downplaying the severity of the disaster relief—this work is imperative to their recovery. 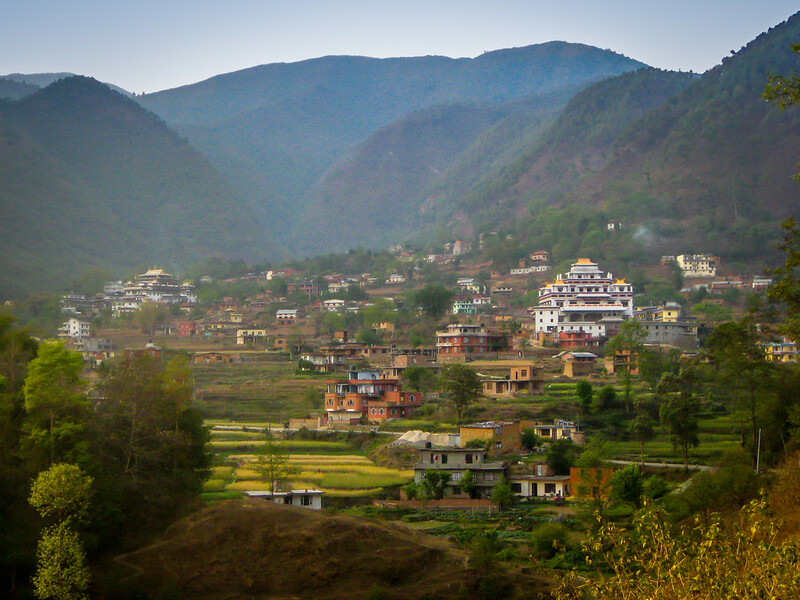 But Nepal is a small country, and tourism impacts even the remote villages. I spent two months volunteering and traveling through rural Nepal in 2009. My tour guides were quick to paint for me a snapshot of their daily lives. They shared stories about the love of their life living in a small village beyond the trekking path. They described for me unparalleled dal baht they longed for at their parents’ remote farm. To a person, they had journeyed from the country’s tiny villages into the bigger cities to make money so they could support their families back home. I often write about grassroots tourism. I wrote about it for NatGeo. I launched an entire site dedicated to supporting the concept. Local-level travel has the power to impact the world. Spending tourism dollars directly within a local economy allows those people to use those funds to eat, live, and lift themselves out of poverty. Donations provide the deeply needed short-term relief, but the country’s long-term recovery strategy relies on rebuilding their tourism industry. So why should you plan that trip to Nepal? Now, as ever, the transfer of dollars from the developed to the developing world through economic support and tourism has the greatest long-term impact. And maybe not right now, but in the coming months, and likely by the next trekking season, they’ll be ready for you. The Kathmandu Valley has a long, long path to recovery. It will take years. But much of the rest of the country is still working. The airports are running. Trekking guides are eager to help tourists tackle Annapurna Circuit. As the Nepalis in the Kathmandu Valley shovel rubble, they are also rebuilding their homes, rebuilding their hotels, and rebuilding their businesses. In the wake of the earthquake, those who want to rebuild their livelihoods in tourism are left wondering how they ask the world to come visit. The Nepal tragedy already begins to fade from the media. As we move into summer and long for the cool breezes of fall to assuage the unrelenting heat, think about Nepal. The country is more than the latest victim of a natural disaster. Nepal is a beautiful, vibrant country with Nepali people eager to show you another story of their home. 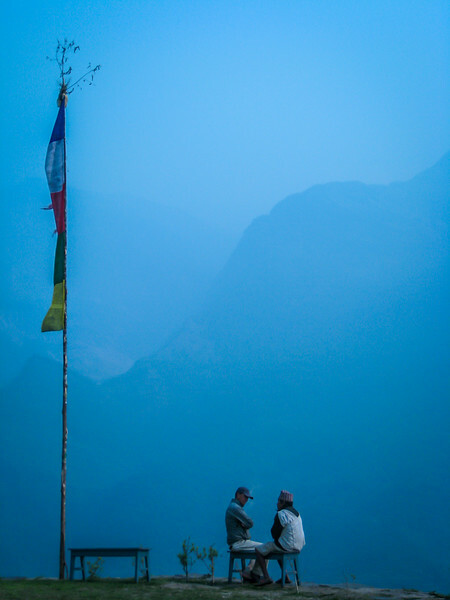 Below are some of my favorite photos from my two months traveling through Nepal in 2009. Shannon, we are glued to your page! 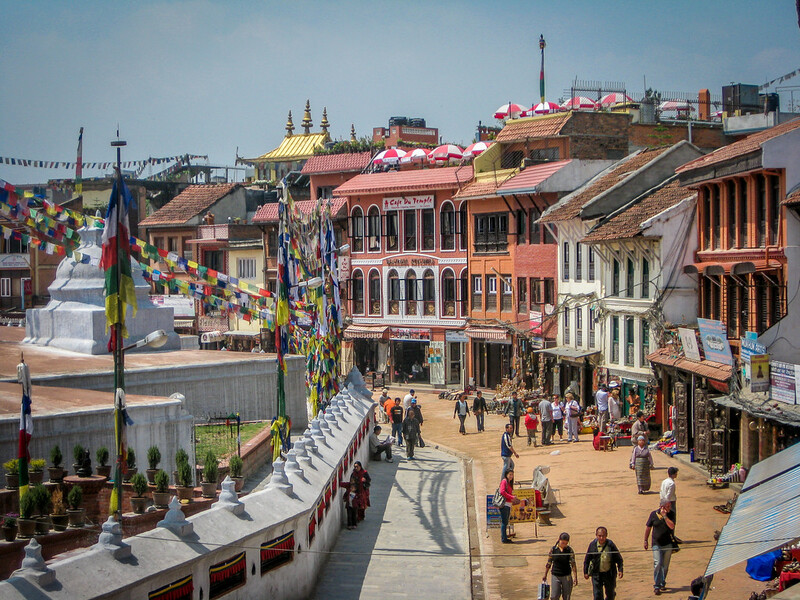 Heading to Nepal next week, your articles about Nepal are just what we needed to prepare for a trip of a lifetime. Did you trek in Nepal at all? We are thinking on going to Everest Base Camp…let’s see how that goes! But heard that Annapurna are equally beautiful. Thank you for sharing your adventures and writing beautifully. I visited Nepal last year, few months before disaster hit this beautiful country. I so loved my 15 days there. Your article so much resonates with my experience – one of the most friendly people. The friendly lady who was able to speak in broken english, and used to own a small cafe near my hotel in Thamel. With amazing buff dishes I used to have every morning- be it buff chowmein, thupka or momos. Or the guy who started with innovative hostels in outskits of Kathmandu, offering people real nature. He started this by taking loan from his uncle, and was so happy running it with success. All these people I met were all linked to tourism, and my heart goes out to them. So much hard work put in, and now again they must be putting in more hard work. I would for sure visit Nepal again in near future. As you rightly pointed out – that only tourism can take them out from this hole. Thank you for weighing in and sharing your experiences Taya, I haven’t been there in many years but I do so enjoy my memories of the Nepali spirit. Shannon, I consider myself a seasoned traveler but you have added much. Thank you. So glad the piece resonated Jake! i heard Nepal is a beautiful destination. is it safe to go there? Nepal is a beautiful destination, and I know there are many travelers who have been there recently. That being said, you want to do some research yourself to see what the situation is like, and if it’s something you want to experience. Consider emailing some bloggers who are in the country right now, or expats who live there. I do know that there are tourism businesses back up and running all over Nepal. I have been there probably20 times going back 11 years. Never had a verbal or physical threat. Very pleasant people. I’ve only just discovered your blog, but I have enjoyed every post I’ve read so far. Always beautifully written. I’ve also checked out your grassroots volunteering site, which I’ll definitely utilise when I move on from where I am currently based. I only hope that my own blog will be as inspiring and and informative as yours! Looking forward to traveling more with you! No, I never said I was going there this fall. I was in the Caucus region and not able to get there. I hope to revisit in the next year or two. I am sorry to hear that the petrol situation continues to deteriorate. when in Nepal I ask some people the issues REALLY at stake. My information as well as yours is 2 new airports Lumbini Pokhara coming and most of all super capitalist development of Terai. My informant told me India wants control over electricity coming from Terai as Nepal has capacity which we all knew 2. Now why let people demonstrate over the right wrong thing over and over again. The real issues being national debt. number 1. good relations with India number 2 traditionally nepalese imported refrigeraters from INDIA. Yes India has a bad habit of enslaving nepalese and taking money from Nepal as they have a higher level of education. Should it be fought out in the streets? Most certainly NOT. The fact of a maost republic for the sake of peace without Justice is an absurdity. Saarc countries must cooperate, World Bank should just give the new republic of Nepal the opportunity to finalize development of hydro Power. WOrd bank was helping India in the days of maoism. these are the days of post maoism good morning. People are sick of it same useless youths that join Isis are ventilating maoist ideologies without having much clue. The fact of having had closed schools for 20 years nearly is hardly cute or funny. It was a mistake I agree to sack the government now it will be hard to sack Oily. We wait for Baburams new Party already he is not cooperating with Rabindra Mishra or rather the other way around. Maoim is out of fashion haleluja. I agree about the airports. when those come up to speed, the remittance laborers will no longer need to go to KTM for visa, or for flight to Quatar or Malaysia or wherever. Thank you for the kind words Kat! Much appreciated. Next time when you go back to Nepal you must also visit India it has awesome places to visit. Thank you Neha, India definitely has gorgeous places and I would love to return. I spent seven weeks there in 2009 and found it a fascinating place. When you go India you must visit Hill Station of India they are awesome. I Have to Jawhar Hill station and Matheran it has great atmosphere specially in winter and rainy season. Thank you Rachel! The country has a long road to recovery but I really do think torii am will play a big part. Then you can read my own two cents. Interesting to see that article, I hadn’t read it yet. I wil link to it in the piece. It’s hard to know though, not being on the ground, what the situation is like. Some of what she points out is/was a part of Nepal before the earthquake too, and yet tourism was still able to function around it. The Nepal of 2009 wasn’t all roses. In two months I never had more than 8 hours of power a day, the Moaists protested and shut down the route from Pokhara to Kathmandu for several days. These are a part of visiting a less developed and area with political issues. Burma has had massive border issues for years, but is successfully managing tourism in other areas. A direct comparison isn’t possible as Burma is not recovering from a devestating earthquake, but more to say that issues alone are not an indicator you shouldn’t visit. And there remain very, very real problems in Burma’s treatment of the hilltribes, but this more to say that they still have built and maintained tourism. The things about Nepal’s trading issues and shortages — those are very real concerns, especially as winter nears. I don’t know the answer, but I do know that businesses are begging for tourists, they are emailing me, they are communicating with the tourism board, they are looking for ways to rebuild at least some income. These remote areas in need — who knows how much, if any, will get to relieve the situation anytime soon. It’s an issue, but not necessarily a reason not to look to Nepal and see if there are pieces of a trip you could safely take and positively impact the country without pulling resources from those still in need. I know people on the ground now are saying it’s certianly not ideal, and it’s not the trip people would have gotten last year at this time, but it’s hard to assess the impact and dismiss that there is good that tourism can do at the ground level of infusing funds when there is enough infrasturture to support it. I’ll admit, and I do in the piece too, that I am not there now. But I have a hard time believing that maintaining a complete lack of tourism for the foreseeable future won’t also have a compounding negative impact. My secrets revealed! No, I haven’t been a regular reader, though I’ll try it out. I pretty much stick with Nepal. Great article. I am heading to Nepal in October on a press trip, and the intention is to publish work afterwards on how tourism is in the country after the quakes, as well as encourage tourists to keep going. I think writing like this, and your blog here, can really help with those efforts. Beautiful Photos. I was in Nepal in 2002 and also had the most amazing experiences. It is definitely a place I want to head back to soon, this time with my family. Thank you very much for this post, Shannon! We need this, every post like yours goes a long way in supporting the recovery of the tourism industry on which many Nepali livelihoods depend. Thank you for reading Anil! It’s a long road for Nepal and I hope the word is spread widely that the country is reopen for tourism. Fantastic Article Shannon. I went to Nepal in 2011 and ever since I’ve wanted to go back. Seeing the devastating news was heartbreaking especially when I saw it not just from the angle of the media but through Nepalese friends on FB. One thing I know for certain is the Nepalese people are very resilient even with government corruption being rife. I’ve put it on the top of my priority to get back there ASAP! I think it’s so important for those of us who already care about Nepal to share our expereinces and even go back to support the people if we can. I hope you are able to make it back there soon! I read your Volunteer Traveler’s Handbook last year and came across an organization, All Hands Volunteers, that is now working in Nepal. I am heading to Kathmandu next week to join AHV with the rebuild efforts and I wouldn’t be going there if it weren’t for you. Many thanks! Thank you so much for sharing that, you made my day to know that from the book to the company now and heading to Nepal, that some of the information was able to help. I hope the trip goes well and that through AHV you are able to help make an impact. I just returned from Nepal after volunteering with All Hands for 5 weeks. It was an incredible experience in so many ways and it was very difficult to leave Kathmandu, especially as a United Nations plane was unloading on the tarmac as I departed. I was so affected by my time there that I am returning in October to first volunteer and then travel through this magnificent country that so easily stole my heart. Five weeks, wow. Thank you for checking back in and letting me know how your trip went. I can’t imagine how it felt to leave when there is so much more work to be done. October will come soon and I hope you are able to both help, and to see so much of the beautiful country — they need both things right now. Keep me posted if there is anything I can do to help as you plan and return. Thanks for such a beautiful post Shannon, it really feels bad for people who suffered such devastating back to back earthquakes in Nepal, it is our responsibility to help them out. Thank you William, I do believe if we all do a small part we can help Nepal rebuild. I appreciate you reading along! 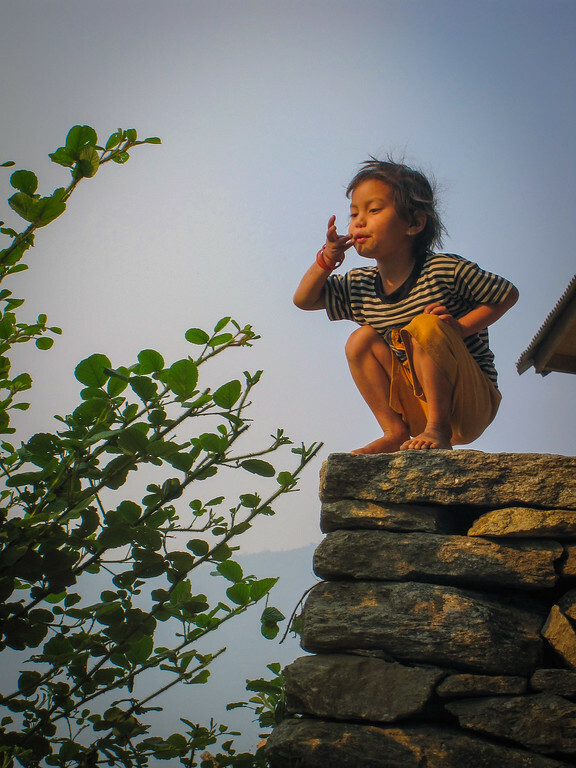 Beautiful story Shannon – we hope to make it over to Nepal on our next trip to Asia, hopefully soon! Thank you! Like you, I am now looking for ways to add Nepal into my next trip over that way. I hope you make it there soon! Thanks for sharing this Shannon. So very motivating! My heart goes out to those suffering. As you said, the travel is about meeting people and the natives and just getting to know how they live. Nepal is definitely on top of my list. Congrats on getting your passport and I hope you make it to Nepal soon! For a country that is so dependent on tourism the back to back earthquakes are literally devastating. Nepal is truly wonderful in terms of natural beauty and if you are a mountaineer you have to go visit Nepal. May they soon recover and rebuild their lives. BTW very nicely written article and amazing images. Thank you Neils, I agree on all accounts. They made tourism the backbone of their nation’s income, so these earthquakes were devastating on so many levels. Thank you for this post, I fly to Nepal in September and have faced a lot of scepticism from people due to the country essentially being in recovery, I have been trying to explain these exact points not only to reassure family but also to justify my reasoning, I can’t wait to meet these strong and wonderfully diverse people and the country they love! I am so glad to hear that you are heading there in the fall! People will be skeptical because they don’t really understand the scope of recovery needed, and the places affected. By all accounts, Pokhara is fully back up and running, it’s really the Kathmandu Valley that was devastated, so tourism dollars coming in can help them have the money to keep rebuilding. I hope you have a wonderful trip. Great to see your blog again!!! Thanks for whetting my appetite for Nepal. It has been on the list prior to and after the quake. Soon enough!! I’ve heard the same advice – in fact I had a friend who was in Nepal at the time of the earthquake and his number one recommendation was to go visit in order to support the tourism industry. Your lovely pictures are only an added bonus to the amazing things I’ve already heard about visiting Nepal! Dear Madam Namaste!! First of All Thank you for you plan to trip to Nepal when you will you plan? you are welcome!! so if you have time we can meeting in Nepal? 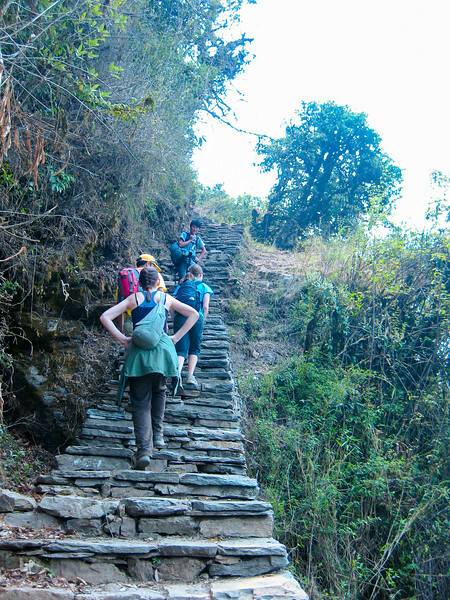 Is the ability to hike up those stairs a necessity to visit Nepal? My spine would not like that.